minister Jayalalithaa and three others challenging their conviction by the trial court in the disproportionate assets case. "The Special Vacation Single Bench of Justice C R Kumaraswamy is constituted to sit in Court Hall No. 14 at 11:00 AM on Monday - the 11th May 2015 - for pronouncement of Judgment (in the appeals)," a high court notification said. Special Court Judge John Michael D'Cunha had on September 27 last year held the AIADMK supremo and three others guilty of corruption and awarded four years jail term, due to which she attracted disqualification as an MLA. The Judge had also slapped a fine of Rs 100 crore on her and Rs 10 crore each on three other convicts. Challenging this, the four had filed appeals in the high court where a special bench was set up on the directions of the Supreme Court while granting her bail on December 18 last. The apex court had directed the high court to decide the appeal within three months. Justice Kumaraswamy, who heard the appeals, had reserved the order on March 11 after defence counsel filed their replies challenging written submissions made by BJP leader Subramanian Swamy, the original complainant in the case. DMK General Secretary K Anbazhagan, on whose petition the assets case was transferred to Bengaluru from Chennai, had moved the Supreme Court challenging the appointment of G Bhavani Singh as Special Public Prosecutor by Tamil Nadu government for the appeals. The Supreme Court had on April 27 cleared the decks for pronouncement of the judgement in the case. It held as "bad in law" the appointment of Singh but ruled out fresh hearing in the appeal against her conviction. After the apex court order, senior advocate B V Acharya was appointed Special Public Prosecutor by Karnataka government and he had on April 29 filed a written submission in the high court praying for dismissal of appeals filed by Jayalalithaa and others. Apart from Jayalalithaa, her close confidante Sasikala and the latter's relatives Sudhakaran, erstwhile foster son of the AIADMK leader, and Elavarasi were also convicted. They were charged with amassing wealth beyond known sources of their income during 1991-96 when Jayalalithaa was Chief Minister for the first time. Meanwhile, security has been stepped up in Bengaluru ahead of the crucial verdict. "We have deployed additional forces in the city and imposed ban order within 1km radius of the Karnataka High Court from 6 a.m. to 9 p.m. on Monday to maintain law and order," Additional Commissioner of Police Alok Kumar told IANS. The special high court bench headed by Justice C.R. Kumaraswamy will pronounce the judgment at 11 a.m. as directed by the Supreme Court, which extended Jayalalithaa's bail up to May 12. "Ten platoons of the Karnataka State Reserve Police, 500 policemen and 25 senior police officers will be present in and around the high court to ensure peace and prevent any untoward incident. Entry into the high court will also be restricted to avoid crowding," Kumar said. The imposition of Section 144 will prohibit any gathering in a radius of one kilometre around the High Court. "Two DCPs (Deputy Commissioner of Police), five ACPs (Assistant Commissioner of Police), 16 inspectors and 500 men will be deployed in and around the High Court. We will frisk all the persons coming there and only lawyers will be allowed in the High Court premises and no member of the public will be allowed there," Kumar said. "If the public comes from Tamil Nadu, they will be advised that they should not create any problem. They have already met local AIADMK leaders here in Bangalore and we have discussed that whatever happens tomorrow should be smooth and they will also advise from their side that people should not create any problem and no one will be allowed to burst any crackers or do anything which is in violation of Section 144 which has been proclaimed around the High Court," he further added. He also pointed out that additional force will be deployed at the border in case the inflow of people from Tamil Nadu is more than usual. "On the borders we'll assess the situation and accordingly take action. If the inflow of people from Tamil Nadu is more, then we will deploy men near our check posts at the border," Kumar said. 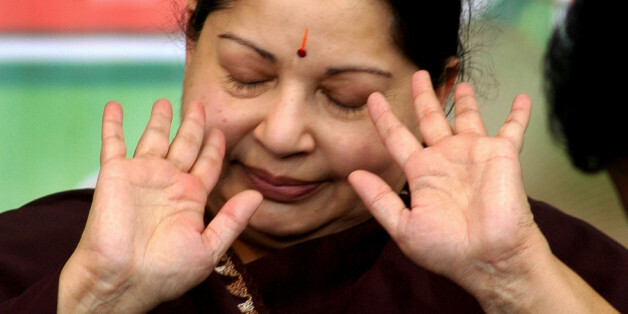 AIADMK leaders and activists are praying that Monday should turn out to be lucky for their 'Amma'. 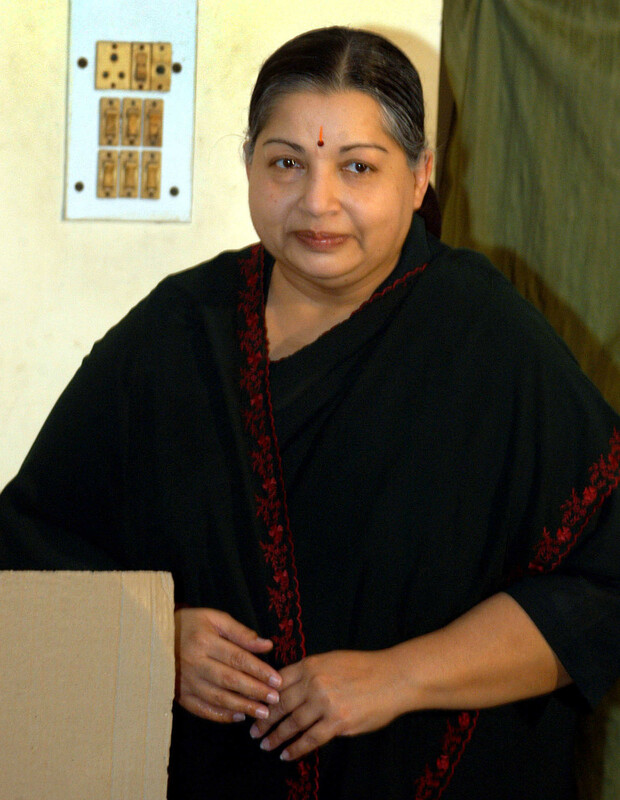 AIADMK cadres and leaders fondly address Jayalalithaa as 'Amma' or Mother. "We are hoping for a positive result," said Avadi Kumar, the AIADMK spokesperson, told IANS. "What will happen if the court strikes down the trial court order cannot be predicted now," spokesman Kumar said. If that happens, the problems for the party would aggravate. Meanwhile AIADMK party leaders and cadres are performing special prayers in several temples in Tamil Nadu seeking divine intervention in their leader's favour. Born in what was then known as Mysore (now part of Karnataka) on Feb 2, 1948, Jayalalithaa moved to Chennai with her mother, who started acting in movies. Jayalalithaa studied at the Bishop Cotton Girl's High School in Bangalore and another Christian convent, Church Park, in Chennai. A bright student, she ventured into acting, making her debut at age 16 in a Kannada movie. Her first Tamil movie was the memorable "Vennira Aadai". But it was the grand success of "Aayirathil Oruvan" pairing with the legendary M.G. Ramachandran (MGR) that turned Jayalalithaa into a leading light of Tamil movie world. She has paired with almost all the leading Tamil heroes. She has acted in over 100 movies, mostly in Tamil, Telugu and Kannada. A charismatic leader at home in Tamil, English and Hindi (a rare quality in Tamil Nadu politics), Jayalalithaa has also sung many songs and written several stories.